Sean J Vincent Blog: Technicolor Canon Profile... & 'The Eye'...have you got it? Technicolor Canon Profile... & 'The Eye'...have you got it? Like every other Canon DSLR user, i downloaded the new Technicolor shooting profile last week. I've been playing around with it and it's pretty cool. It gives the camera a bit more latitude and really helps 'see' into the shadows and darker areas. It's very flat...and very un-contrasty... which makes focusing tricky and lighting harder, but with a few clever work-arounds, it can really make your footage look much better. What you need to do to get the best out of it, is to frame your shot and light your scene, check exposure etc while set to a standard profile...and then switch to the Technicolor profile before hitting record. It's a bit of a faff...and not necessary for every shot, but it makes getting the best out of it easier. I don't like using the LUT that comes with it... in my tests it just makes the footage look exactly like it was shot on the standard profile again. I used Magic Bullet Mojo in my tests and it really made the footage look great.... not a massive amount grading is possible, but definitely more than shooting with the 'flat' profile i was using before. I've been too busy this week to upload any examples, but there's plenty on Vimeo if you do a search. I was reading another blog recently which was talking about having 'the eye' for being a film-maker. This is a term that is chucked about in film-making circles...and it basically means you know what looks good on camera...you know what works and you know there's a difference between the look of TV drama and cinema. I'm still amazed by the number of short films i see that don't look right. These are mostly done by 'would be' feature directors to show off their skills, but all too often they look all wrong. I don't mean technically, i mean artistically. Where the camera is placed...how the shot is framed and most often, how the scene is lit. 3 point lighting is all very well for interviews and docs, but in cinematic pieces, it can look wrong. I know DSLRs need a lot of light, but placing your pools of light is what it is all about. You need contrast... dark areas in the frame to make the lighter areas stand out. Another area that makes productions look very un-cinematic is production design. It's one of the most expensive areas of film-making, but it makes the difference between the look of a student film and a proper feature. 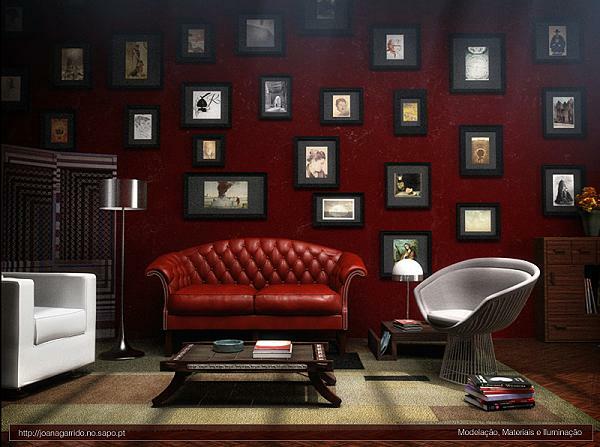 Most of us have big swathes of un-interesting wall space in our own homes...magnolia or beige usually. It looks crap on camera... you only ever see it in soaps. Features will make sure all walls are interesting colours and/or textures. It's hard to do on a budget, but making an effort in this area will make your film look much better. Even using coloured light to throw some green or blue on a boring wall will make a difference. Other parts of production design that will help are things like interesting props. Cars should be rare or unique in some way, mobile phones should be different enough to what's available now to not 'date' the film too quick..(unless you need to stamp it's place in time). Household objects like kettles or coffee mugs should be different in some way...not what you can pick up in any branch of Wilkinson.... if the audience sees things they recognise, it might contradict the story. It's no good trying to show the protagonist in your film as a well off single man if he has flowery mugs available from Argos in his Kitchen. It might seem trivial... but it never goes without some serious thought on a proper feature production. Deep reds, white and busy walls...great looking on camera. 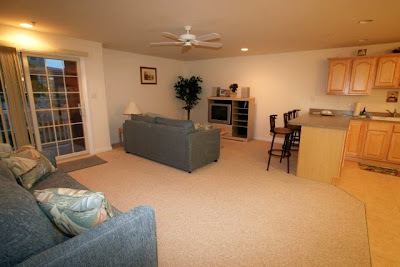 Magnolia walls, beige carpet, sparse walls...looks pants on camera. So what else is happening? Well, the investment brochures for 'Their Law', the movie i am pitching in Cannes finally arrived...and they look great. I'm pretty much ready now... i just need to fit in a quick trip to Turkey for gig with Kim in before i head to Cannes.